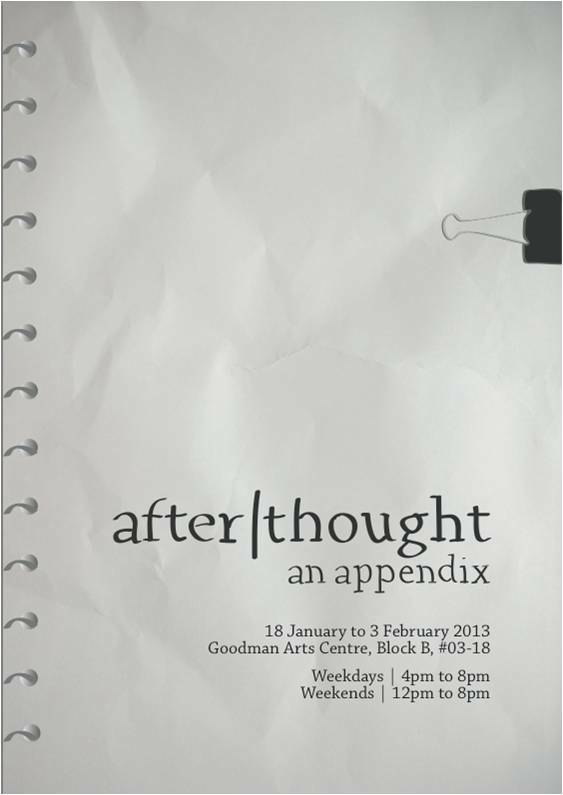 after|thought is an art exhibition that examines how the ‘institution’ works to represent what has been constructed as a pivotal event in Singapore’s history – 9 August 1965, the date of Singapore’s separation from the Federation of Malaysia. Here the state museum, media and mass education are isolated as mediums through which we understand the issue of representation. Through the discussion of these three examples of the ‘institution’, after|thought ponders how information and memories of 9 August 1965 are consumed and negotiated by a contemporary generation. The inspiration behind the exhibition can be traced back to the collective interest we, the curators, had as young twenty-somethings who shared an anxiety about the speed of things around us, in particular with the way the narrative of progress has been—and is still—heavily emphasised in Singapore. This country has indeed undergone rapid development. And while this has brought most citizens the benefits of a first world nation, we cannot help but reflect on the things that have been lost in the process. The rapid and constant erosion of familiar landscapes as well as the gradual fading of intangible cultural practices in the name of progress have created a sense of loss, disconnect and unease. What is our identity amidst all these changes? At the same time, the call to progress and constantly improve ourselves has almost become a creed professed by Singaporeans (after all, the line “to progress for our nation” is in fact part of our national pledge). But what are the repercussions for following this dogma? Do we have any afterthoughts? The curators: (from left) Riya de los Reyes, Ng Shi Wen, Daryl Goh, Stefanie Tham and Jane Koh. The approach and direction we took with after|thought, however, was decidedly focused on the remembering of our nation’s history, especially the birth of our nation, which also signalled the beginning of the narrative of progress. 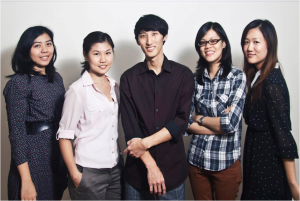 As part of the generation who experienced the National Education programme which began in 1997, most of us learned – and painfully memorised – the Singapore Story that was offered to us in school. For us, the classroom was the space in which we first encountered our country’s history in greater detail, and were tested to ensure we got the national account right. At times, learning our country’s history felt like a forced memorisation of numerous facts and moral lessons that we did not genuinely understand or empathise with. Excursions to museums and other historical sites were attempts to bring these lessons to ‘life’, but often did little to transcend the cold learning of history as broken down into a series of factors and test questions. Nonetheless, surrounded by national narratives that echo and reinforce each other, this typical understanding of Singapore’s becoming is ingrained in our minds, and so engendering curiosity, perplexity or defensiveness whenever the Singapore Story is argued to be different. It is precisely this gap in our consciousness of 9 August 1965 that after|thought seeks to explore. We wanted to re-look at this pivotal date and the way it had been conveyed to us. What could have been left out of the story? What were the opinions of the common men who went through the event? 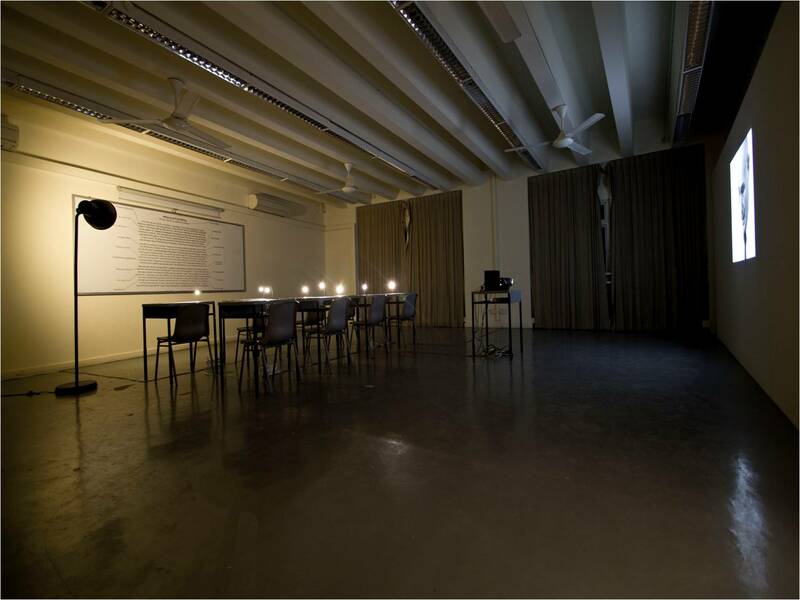 To what extent does the prevailing narrative represent the collective’s opinion? These were just some of the questions raised that inspired and undergird the concept behind after|thought. Accompanying publication to the exhibition. Why don’t you talk to your older relatives about their past? They lived it. Find connections with yesterday that apply today. The state has their version, you have yours.